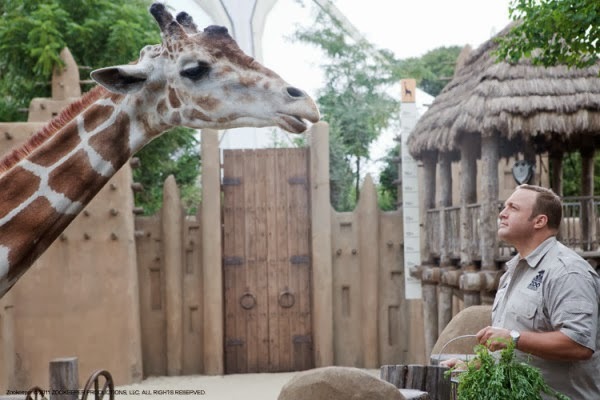 The giraffe is featured in many popular films such as the Madagascar series by DreamWorks. This animation film tells the story of four zoo animals who have spent their lives in blissful captivity, but are then shipped back to Africa where their ship wrecks on the island of Madagascar. The four main animals featured include a lion, zebra, hippo, and a giraffe. This movie relates animals being held in captivities such as zoos similar to them living the life of luxury. This luxurious lifestyle of a zoo has left these animals stranded in the wild, not knowing how to fend for themselves. 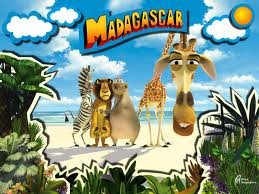 In the children’s film of "Madagascar", they display zoo animals as living a life of luxury. It portrays a message of friendship and overcoming obstacles whether it be between friends or taking on challenging unfamiliar changes in life. Melman is the main giraffe featured in Madagascar. He is depicted as a hypochondriac who believes he has many illnesses. His meals consist of a lot of medications and he has many frequent doctor appointments. His illnesses though were really just a pigment of his imagination. He is very uncomfortable and skittish when he is turned out into the wild and always seems to be in a panic. 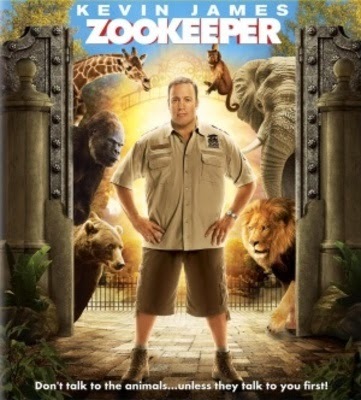 Another film that features a giraffe is "The Zookeeper" by Sandler’s production company starring Kevin James. This film starts out by Kevin proposing to his girlfriend, but sadly being rejected due to his career as a zookeeper. A few years later he becomes the lead zookeeper who cares very strongly for the zoo animals. When offered a different job at a car dealership, he strongly contemplates quitting the zoo in order to win his “true love” back. The animals hold a meeting saying they do not want their head zookeeper to leave because they think he is the best there is. They decide to find another way to win back his true love without him having to quit the zoo which includes breaking the rules and physically talking to a human. In the adult film of "The Zookeeper", zoo animals are displayed a little more realistically. The zoo animals live a decent life with the help of their zookeeper. They are not displayed as a cartoon, but they are given the ability to talk to humans. It also has a scene where a zoo animal is in need of a new exhibit in order to become happier living at the zoo. This film’s message is about a man finding himself more comfortable with a lion than a lady. In other words, it is about staying true to yourself, no matter how much someone may want you to change. In the long run, staying true to yourself is the ultimate happiness and everything else will fall into place, one way or another. Both of these films feature giraffes that are anthropomorphized through characteristics such as talking. They both display a message to their viewers what it is like for an animal in zoo captivity. I believe a giraffe was specifically chosen for both of the films due to their presence in zoos. Almost any zoo you would visit today has a giraffe exhibit and it seems to attract a lot of zoo visitors. Personally, the giraffe exhibit at zoos are my favorite. I could watch them all day if I was allowed to. Fanatic. MovieFanatic.Com, 10 July 2011. Web. 06 Nov. 2013. <http://www.moviefanatic. 3. "Madagascar (2005 Film)." Wikipedia. Wikimedia Foundation, 11 Apr. 2013. Web. 06 Nov. 2013. 4. Fuchs, Cynthia. "Madagascar." CommonSenseMedia.Org. Common Sense Media, 20 Nov. 2005. 5. "Melman." Wikia.Com. Wikia Entertainment, n.d. Web. 06 Nov. 2013. <http://madagascar.wikia. Oh! These movies are tremendous. I am adding it to the watch list right now. My kids are about to finish the series by Andy Yeatman and then we can begin with this. I liked going through this post a lot. It is nice and probably because I love reading.